Smells fresh, minty & delicious! Organic ingredients of: coconut oil, beeswax, lanolin, castor oil, lavender oil, lanolin alcohol, menthol, eucalyptus oil, carnauba wax, vitamin E, cedarwood oil, nutmeg oil, kakadu plum, bach flower remedies: white chestnut, clematis, cherry plum, rock rose, love & hugs. Regularly use this product when kids have a cough. 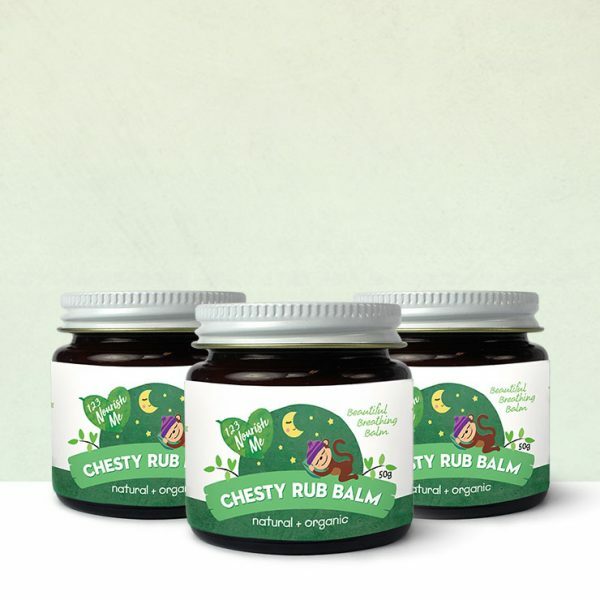 Apply it to both chest as well as feet and children sleep soundly with no more coughing. Love the reassurance of knowing there are no nasties in any of the 123 Nourish Me products. This is a definite family favourite. Works well for my children and me and hubby. As soon as the children have a sniffle they rub it on their chest and feel immediate relief. I was so grateful to find it, a safe way to support my children’s immune system. Love it so much that even I use it. I couldn’t recommend this product any more highly if I tried! LOVE LOVE LOVE IT!!!!!!! So grateful I came across it, and so grateful to you for making something so amazing to help my little loves with some winter nasties they’ve copped from daycare. Why would you use the commercial stuff when this is so good. Would never go back! So much nicer than the stuff in shops. It seems to work better too and I can let them rub it in too. It’s a wonderful feeling knowing I am putting something on them that is natural. Thank you. I have a child that gets really hit when she gets a cold. She wont take anything for it but will let me put this product on her feet. 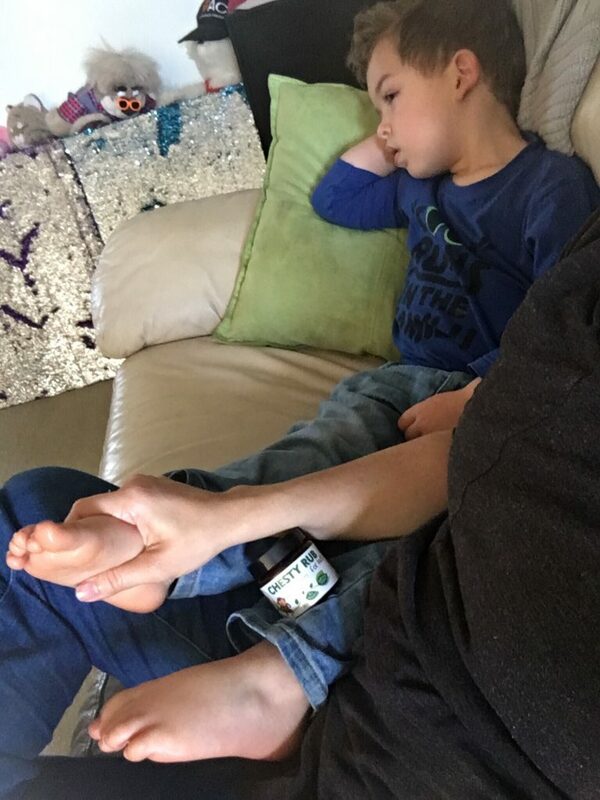 I used other brands before but am so thankful to have found this safe product to use as it is the only thing I can use to help my child get well again. It is a comforting to know that it is safe to put on her body. Thank you again.